Life Lines explores the role of drawing in portraiture, focusing in particular on the relationship between artist and sitter. Spanning five centuries, the drawings in the show range from Dürer’s moving likeness of his brother Endres to Picasso’s highly expressive sketch of the actress Marie Derval. Life Lines considers self-portraits, portraits of family and friends as well as more formal portraits. 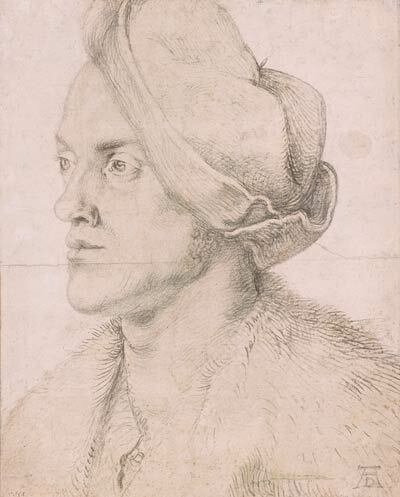 Some of the drawings served as preparatory studies for paintings or sculptures, while others are finished work in their own right. What all of them share, however, is that they record a likeness of someone worth remembering. They bear testimony to a deeply human sentiment, the desire to leave a mark. This exhibition is generously made possible by the Alex Gordon Fund for Exhibitions.